PC-1141 served the Navies of the United States and Indonesia. PC-1141, 23 December 1943 at New Orleans, LA. 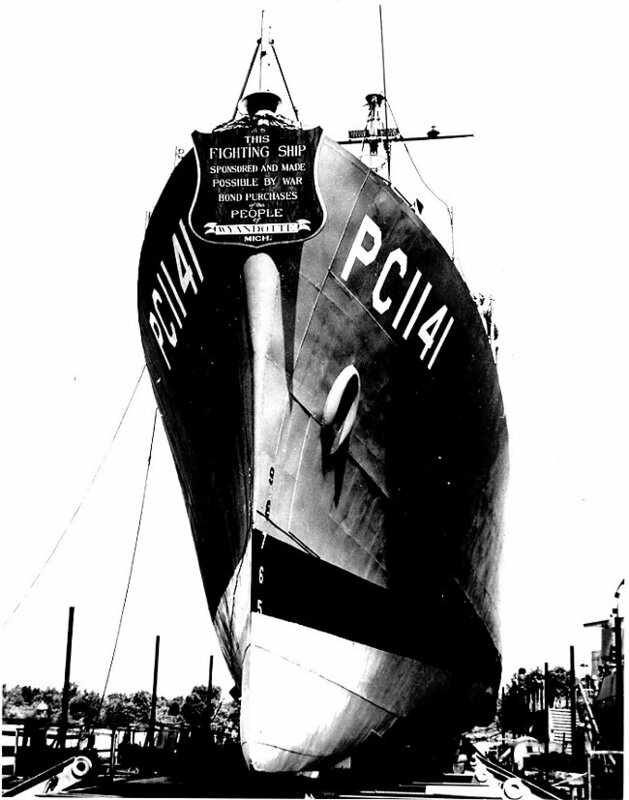 ; Named Pierre 15 February 1956; Decommissioned, 28 October 1958 at Pearl Harbor Navy Yard, TH; Transferred under the Mutual Defense Assistance Program to Indonesia as R. L. Tiakalang; Struck from the Navy Register 25 October 1958. Fate unknown. Specifications: Displacement 280 t.(lt) , 450 t.(fl); Length 173' 8"; Beam 23'; Draft 10' 10"; Speed 20.2 kts. ; Complement 65; Armament one 3"/50 dual purpose gun mount, one single 40mm gun mount; three 20mm guns, two rocket launchers, four depth charge projectiles, two depth charge tracks; Propulsion two 2,880bhp General Motors 16-278A diesel engines (Serial No. 14242 and 14243), Farrel-Birmingham single reduction gear, two shafts. 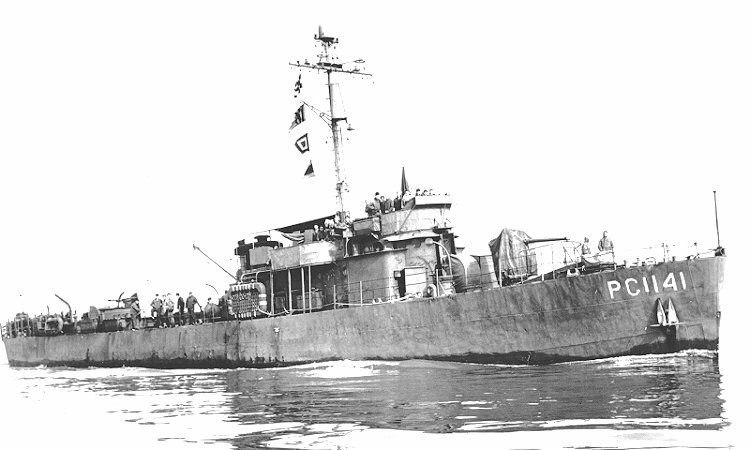 "PC Patrol Craft of World War II"